Lock in a great price for The Margi – rated 8.9 by recent guests! The Margi has its own organic farm and the food is excellent, including great brunch choices! Every thing was ok with exception of the laundry was not good and very expensive. The bed and the pillows were very good. I like soft beds and pillows. The staff was very friendly and helpful. We could get our room before the official check in time and remain in it two more hours after official check out time without extra charge. The breakfast is good with many food options. 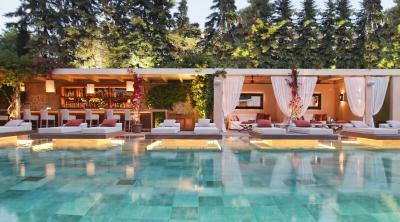 The location for combining a sea vacation and visiting Athens is perfect. Many good sea beaches a short distance away. Set up is great, pool and surrounding, even our balcony had that relaxing feel! Overall great locaation/ service and landscaped pool. 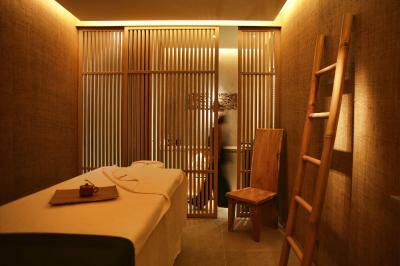 Very good staff and f&b sector, also the spa is very comfortable. I booked this hotel on a recommendation and I could not have been more happy. Hotel was beautiful! Gorgeous pool and bar, service & staff 100 %. I will definitely be returning & spreading the word!!!!! Overall it was a very memorable, happy stay for us. 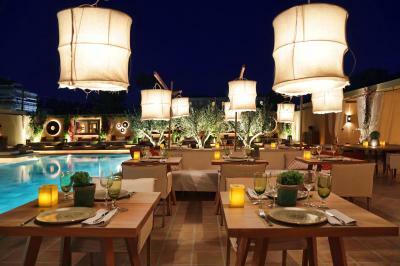 Really excellent staff and the pool area is a beautiful space for breakfast/lunch/dinner/bar as day turns into night. I highly recommend it. The Margi This rating is a reflection of how the property compares to the industry standard when it comes to price, facilities and services available. It's based on a self-evaluation by the property. Use this rating to help choose your stay! 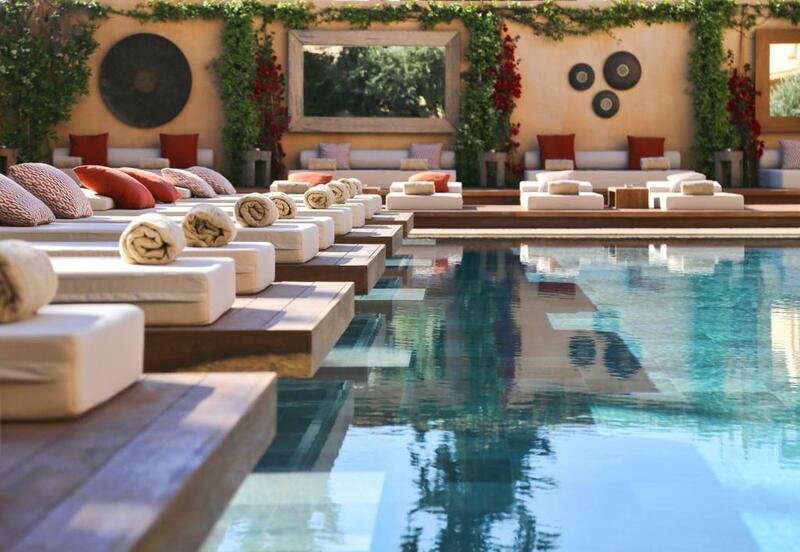 Located in the exclusive area of Vouliagmeni, The Margi is a 5-star boutique hotel nestled among pine trees and just a few steps away from the sandy beach. Offering fine dining and a romantic pool setting, it combines discreet luxury and a relaxed seaside atmosphere. Rooms and suites at The Margi are elegantly furnished featuring a classic décor with colonial touches. They all come with a satellite LCD TV, fully equipped mini-bar, safety box and air conditioning. In the bathroom, you will find Korres amenities, fluffy bathrobes and slippers. At Patio you will taste gourmet dishes prepared with fine products from the Margi Farm. Malabar Restaurant features an eclectic atmosphere and proposes Mediterranean flavors, and at Nilaya you will start your day with a hearty American breakfast while reading your morning newspaper. Guests can experience a private farm tour at the Margi Farm and enjoy an authentic and organic Greek dinner, where they can get cooking tips and, upon request. The hotel provides exclusive guests services, such as a seasonal boutique shop with luxury Greek brands, personal trainers, yoga classes, as well as a fully equipped fitness center. At the hotel's spa area guests can enjoy beauty and massage treatments, while they can also use the steam and sauna room and the indoor pool. Within 4.3 mi, you can reach the 18-hole Glyfada Golf Club. Athens City Center is 12 mi away and Eleftherios Venizelos International Airport is 15 mi away. Free private, on-site parking is provided and free WiFi is available throughout. 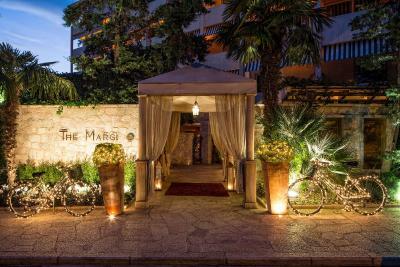 When would you like to stay at The Margi? 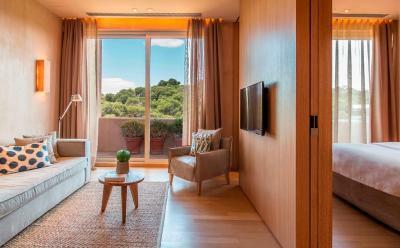 Decorated in classical style, this spacious room opens to a balcony with views to the quiet inner courtyard or the pool. 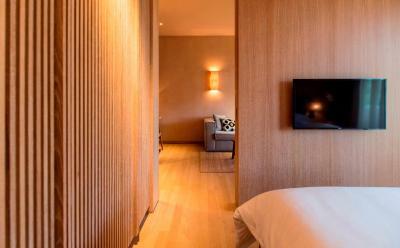 Its modern bathroom is fitted with a rain-style shower, Korres amenities, slippers and fluffy bathrobes. Please note than in case of 3 guests, the 3rd guest will be accommodated at a roll-away bed. Please note that room size is 22 m2. 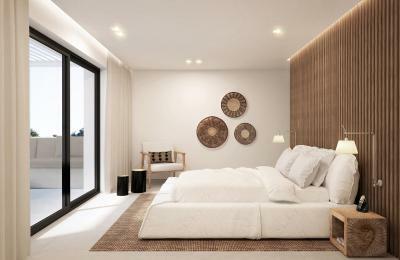 Decorated in earthy tones, this spacious room comes with wooden floor and handcrafted furniture. 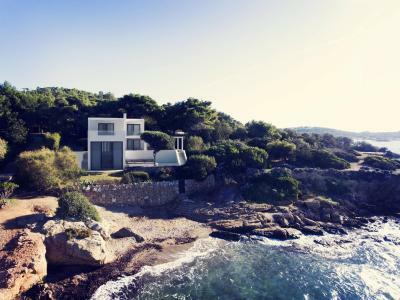 It opens to a balcony with views to the sea, pine tree forest or the pool. Its modern bathroom is fitted with a rain-style shower, Korres amenities, slippers and fluffy bathrobes. Please note that room size is between 22 and 25 m2. Divided in 2 levels, this suite comes with 2 double beds and a bathroom with a rain-style shower. It opens to a balcony with views to the neighborhood and also includes a Nespresso coffee machine. Please note than in case of 5 guests, the 4th and the 5th guest will be accommodated at a roll-away bed. It can be connected with an executive room, accommodating up to 6 guests. Please note that the surface is 50 m2. Each with distinctive décor in soft tones, this spacious, open-plan suite features a king size bed and a seating area with flat-screen TV. The bathroom comes with Korres toiletries and a rain shower or spa bath. 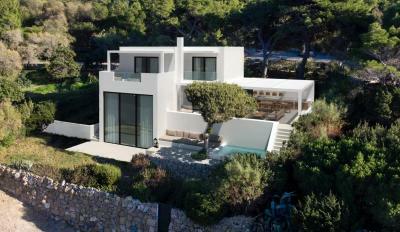 It opens to a balcony overlooking the sea or the pool or the pine tree forest. A Nespresso coffee machine is featured. Please note than in case of 4 guests, the 3rd and the 4th guest will be accommodated at roll-away beds. Please note that the surface is between 40 and 50 m2. 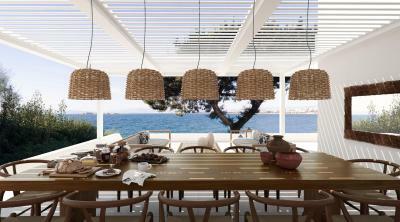 -french glass doors with panoramic view of the sea. Please note that the 2 single beds are roll-away beds. Overlooking the neighborhood, this elegant, open-plan suite features a seating area with flat-screen TV. The bathroom comes with Korres toiletries. Please note that in case of 3 guests, the 3rd guest will be accommodated at a roll-away bed. Please note that room size is 40m2. Fitted with handpicked art pieces, wooden floor and leather sofas, this spacious, luxurious suite opens to a terrace with sun loungers. It is open plan and features a king size bed, and a bathroom with KORRES toiletries. Located on the top floor offering uninterrupted views of the sea, this elegantly decorated suite is fitted with linen curtains, wooden floors and custom-made furnishings. It has a spacious living room, a bedroom with king size bed and a bathroom fitted with KORRES toiletries. Offering spectacular views over the Aegean Sea, this beachfront villa covers an area of 200m2 and opens to a terrace featuring an outdoor hot tub. It includes 4 bedrooms with private bathrooms, an elegant living room with floor-to-ceiling windows and a fully equipped modern kitchen. It is located 2297 feet from the main hotel facilities. 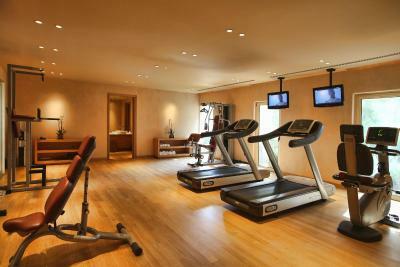 -free access to all facilities of The Margi Hotel. Permission must be requested if tenants wish to invite nonresidents in the villa. Social events are permitted upon request only and at an extra cost. 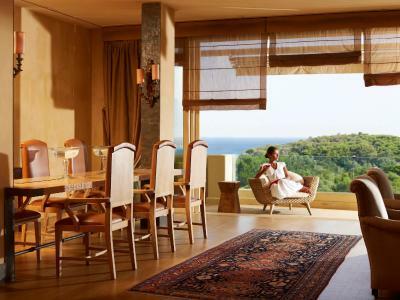 Offering unobstructed views over the sea, this spacious room is located on the higher floors of the hotel and features a Mediterranean-chic decor. House Rules The Margi takes special requests – add in the next step! The Margi accepts these cards and reserves the right to temporarily hold an amount prior to arrival. Guests are kindly requested to provide upon check-in the credit card with which they made the reservation. Please contact the property for further information about third-party payments. in case the same credit card cannot be provided, another credit card or payment in cash will be required. Kindly note that early departures are subject to cancelation fees. Please note that the indoor pool is part of the spa center, and operates at a first-in first-served basis. Please inform The Margi of your expected arrival time in advance. You can use the Special Requests box when booking, or contact the property directly using the contact details in your confirmation. Everything- Excelent Service, your people are amazing, the Food was near perfect. Very, very loud. Party noise each and all night from lobby facilities-either be a Hotel or a party location! Street also very loud. -cars either accelerating uphill or breaking downhill. Airline crews at breakfast (never a good sign), mixing up with hangovers from last night. Too far from the sea. Very, very nice staff. Small exclusive spa, but complicated to access. Somethings were a little too much hassle for the staff . Tea bags & clean cups not replenished in room after single use, restaurant staff were confused when asked for soft drinks menu! Nothing not to like. The staff are quick to cater to any problems you might experience and willing to go lengths to make you feel at home. The music of the restaurant until late in the night. Thursday to Saturday very loud music until 2am! Not appropriate to the elegant and cosy athmosphere, it is not Ibiza, nobody was partying at the hotel so we did not understand the reason for this party sound. Easy lounge music would be much better. No chance to sleep without earplugs! Food in the restaurant not 5*, lower average hotel food, breakfast also average, fruit without taste. Very old and dirty carpets in the aisle and in the room. Needs to be renovated asap Spa very small, entrance limited upon availability Other small leading hotels do definitively have a higher standard. Pool area, bar, comfortable bed, very friendly and helpful staff! Close to different beaches and close to Athens. The reservations department was not helpful enough. We loved our stay at The Margi. The hotel was amazing,the food was great.Konstantinos the front desk manager made our stay even better!We can’t wait to come back soon.